When You Need The Right Nerf Gun For The Job, You Need To Have An Easy Way To Compare The Ones You Think Will Work The Best! 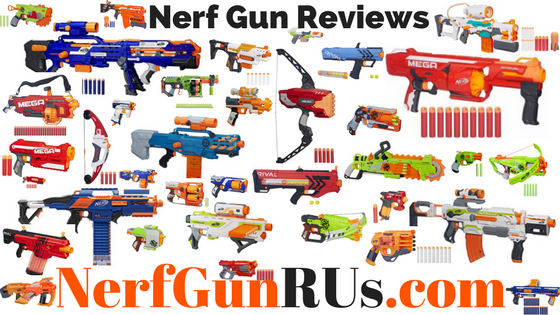 With My Organized Nerf Gun Reviews, You Can Find Out The Best Nerf Gun For You From The Nerf Rival Series, Nerf AccuStrike Series, Nerf Zombie Strike Series, Nerf Mega Series, Nerf Modulus Series, Nerf Elite Series, And Nerf Doomlands Series! 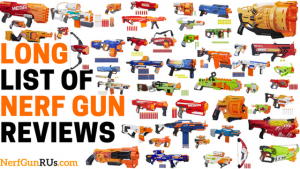 Don’t Forget To Leave Your Own Opinion Of Each Nerf Gun Here At NerfGunRUs.com In The Comment Section Of Any Nerf Gun Review! 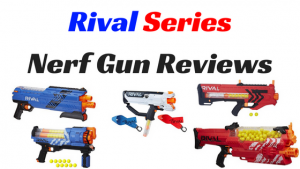 Check Out Reviews On The Nerf Rival Series! 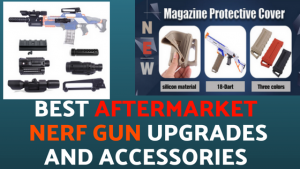 When it comes to High Powered Nerf Guns That Fire Nerf High Impact Rounds, You Need A Nerf Gun From The Nerf Rival Series. 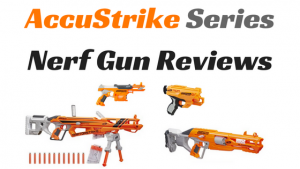 Want Reviews Of The Nerf AccuStrike Series? The Nerf AccuStrike Series is all about Accuracy, with The Nerf AccuStrike Darts that spin while they fly through the air, giving you much more accurate Nerf Shooting! 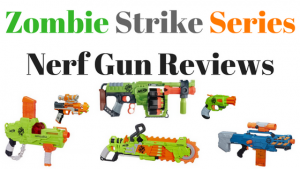 The Nerf Zombie Strike Series is here to help you eliminate zombie hoards with all kinds of different options. 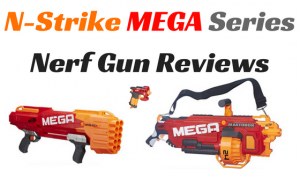 Mega Nerf Guns Do Mega Damage! 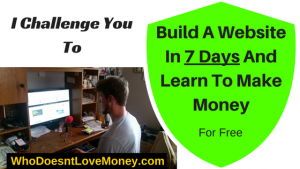 Check The Reviews! 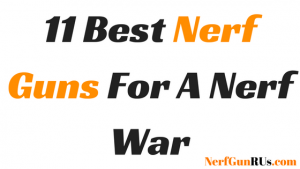 When it comes to big and scary, that is what The Nerf N-Strike Mega Series is all about! Screaming Nerf Mega Darts fly through the air, while terrifying anything that is in its trajectory! 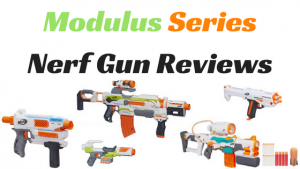 The Modulus Series Is All About Attachments Read The Reviews To Find What Attachments Come With Which Modulus Nerf Guns! 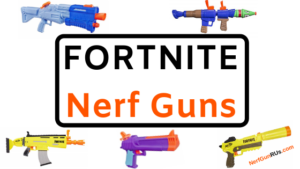 The Nerf Modulus Series is meant to be able to swap any Modulus attachment with any Nerf Modulus Nerf Gun, each Modulus Nerf Gun with different attachments! Know what attachments are the best and collect them! 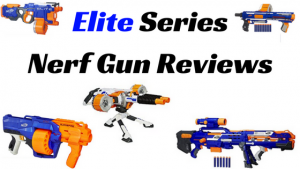 If you are looking to execute a mission perfectly, that is what The Nerf Elite Series is for, The Elite! 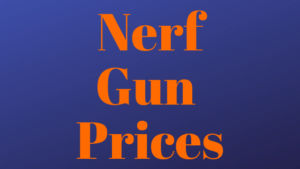 Use The Right Elite Nerf Gun For The Right Mission! Ready To Head Into The Doomlands?! 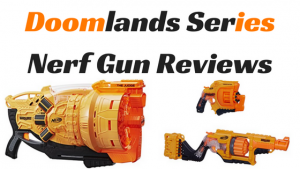 Read The Reviews To Find Out Which Doomlands Nerf Gun You Should Take With You!!! The Nerf Doomlands are a scary place to find yourself defenseless without A Doomlands Nerf Gun! Whether you want to take over or just survive, you need to know what Doomlands Nerf Gun To Have!